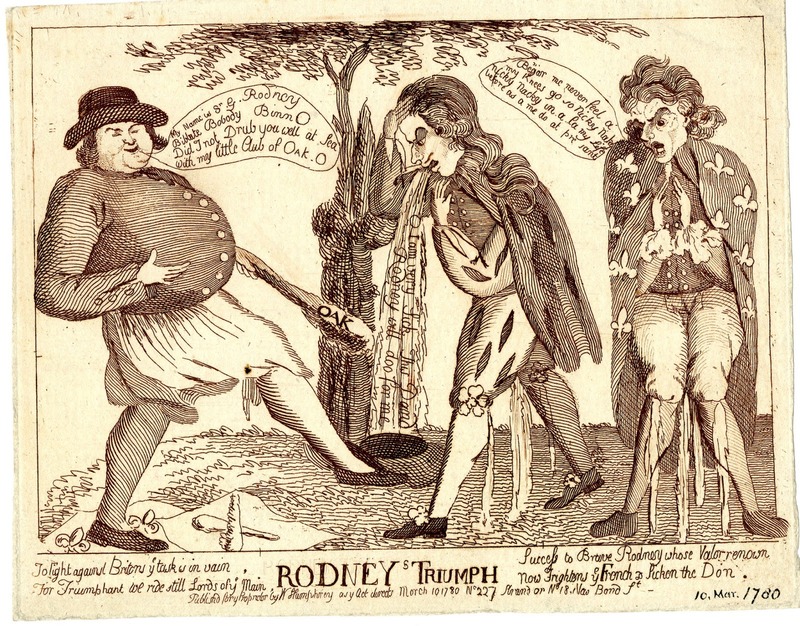 Rodney's Triumph, William Humphrey, 1780, British Museum. In yet another colorful cartoon, a sailor (this one taking the name of the Admiral George Rodney) thrashes the French and Spaniards. This time around, both of his opponents are so frightened by the portly jack tar that they wet themselves. This piece refers to the Battle of Cape St. Vincent, where Rodney won a decisive victory and took or destroyed seven Spanish ships. Rodney wears a simple black hat, probably a round hat with its brim upturned, though possibly a Dutch or Monmouth cap. His neckcloth is black and hangs over the single breasted jacket with metal buttons and slash cuffs. 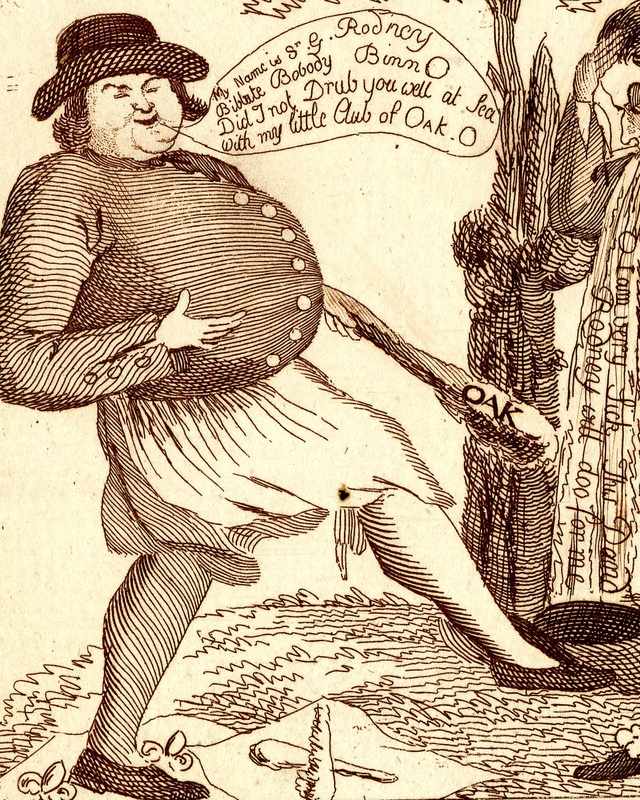 The white slops end below the knee, but we get a good view of the ties of his breeches dangling from beneath. Rodney's white stockings go to pointed toe shoes that dance over the Spanish and French flags.